The last generation of the 2019 Ford Ranger is dated back from 2011. At the time, we can definitely say that it was a good decision from Ford since this type of pickups was seeing poor sales and decreasing in popularity. However, it seems that this segment is on high again, and this is one of the reasons why the 2019 Ford Ranger is being launched right now. So, let’s see what the 2019 Ford Ranger has to offer you. In case you are wondering when the 2019 Ford Ranger will be available in dealerships, you will be happy to know that it is already there. The standard 2019 Ford Ranger model starting price is quoted at $24,300. However, we need to mention that this is the most expensive base model in the segment. In case you are looking to buy the higher trim levels, you will need to pay, at least, $27,940 and $32,210. One of the things that we need to say about the 2019 Ford Ranger is that it features a sportier and softer look than the F-150. While most automakers are making bold styling choices, the truth is that the 2019 Ford Ranger still has its conservative look. When you look at the 2019 Ford Ranger, you will see that it is incredibly functional. And this is exactly what most people for in a pickup. 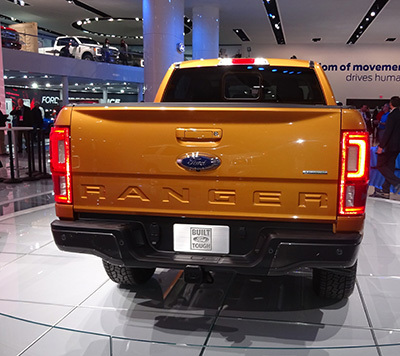 So, you will like to know that, unlike the Toyota Tahoma, the front overhang of the 2019 Ford Ranger is short which allows you to have a better perspective and visibility. In case you are considering to buy the 2019 Ford Ranger, you will be glad to know that you can choose between eight different color options – the Oxford White, the White Platinum, the Ingot Silver, the Magnetic, the Absolute Black, the Hot Pepper Red, the Lightning Blue, and the Saber. Under the hood, you won’t have any choice to make when you decide to buy the 2019 Ford Ranger. 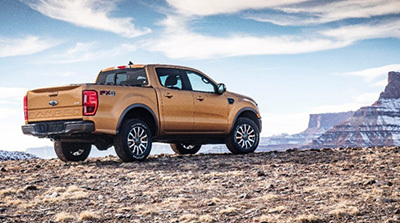 Unlike the Ford F-150 that comes with a lot of different configurations, the 2019 Ford Ranger is only available with one single engine. 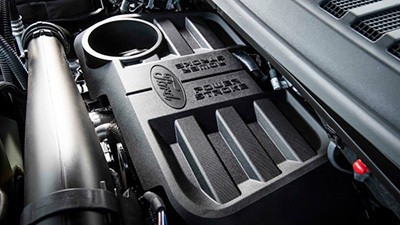 So, in case you decide to buy the 2019 Ford Ranger, you will be able to enjoy the power of the 2.3-liter EcoBoost turbo-four engine. This engine is able to provide 270 of horsepower and 310 pounds per feet of torque. In terms of the transmission, the 2019 Ford Ranger comes with the 10-speed automatic gearbox. The 2019 Ford Ranger will be available in three different trim levels and two cab sizes. 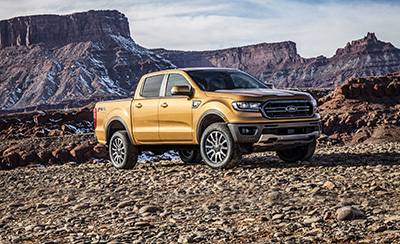 As soon as you enter in the 2019 Ford Ranger, you will notice that the cabin changes are more similar to the Colorado’s cabin than to the Tacoma’s cabin in terms of the size. One of the things that we need to say is that even though the 2019 Ford Ranger doesn’t bring a lot of new features, the truth is that it is functional, just like the rest of the pickup. While you may think that the 2019 Ford Ranger cabin is similar to the F-150 cabin, the truth is that it shares a lot more with the Ford Focus. If there is something that we would really like to see improved in the 2019 Ford Ranger is the cabin. The reality is that the automaker could make it roomier and more performing. After all, the rear bench isn’t split folding. And we can say that this is the only pickup in North America where this happens. 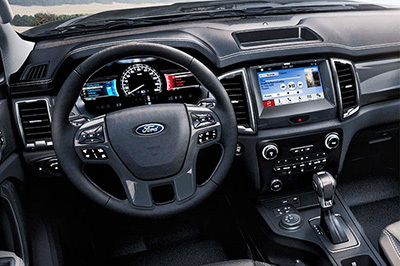 In terms of the safety features that come with the 2019 Ford Ranger, you will be glad to know that it includes the adaptive cruise control, lane keeping assistance, collision warning, backup camera, automatic emergency braking with pedestrian detection, lane departure warning, navigation, rear parking sensors, and blind-spot monitor.